Bring the fresh scent of Sea Salt & Cotton to your home with the WoodWick Hearthwick Flame candle range. 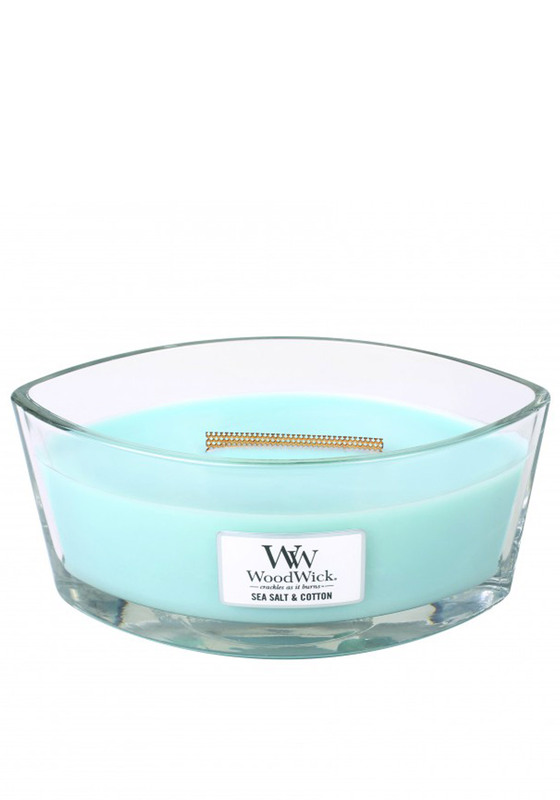 The Heartjwick candle is created with stunning notes of the ocean breeze, soft cotton and light woods and also features a specially designed wick that crackles as it burns. This wonderful candle will burn for approximately 50-80 hours.